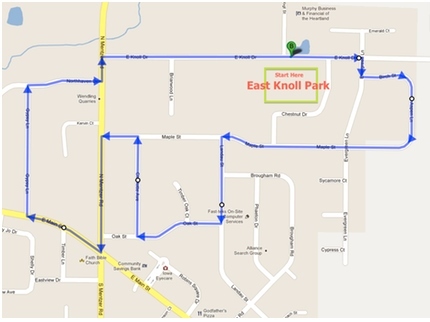 Would your group or company like to be in our Parade? If so, please fill out the below waiver and entry form and return to Robins City Hall before Noon CT on 06/09/16. Bring your kids to enjoy our fun Kids Zone! There will be a clown, a magician, and a A LOT of inflatables. Your kids are going to love this! 5th Fret is an energetic and talented two man band based out of Bellevue Iowa. They play your favorite covers from Johnny cash, Paul Simon, Matchbox 20, Third Eye Blind and many more in between. The musical talent and vocal harmonies are sure to draw you in and leave you wanting more. Come on and check out their unique and entertaining performances! ​Airwaves is Iowa’s Premiere Classic Rock Cover Band. They were formed in December 2011 in part to support families in our area who suffer from hunger. 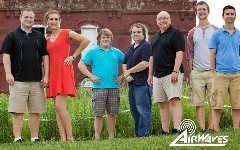 Airwaves have performed at many of the most prestigious venues in Eastern Iowa including Marion by Moonlight, Balloon Glow, Robins Roundup, Freedom Festival, Fairfax USA Days and Ragbrai. You will here them cover the classics from the Beatles to Bon Jovi, from Huey Lewis to U2, from Michael Jackson to Journey. Come on out to hear them play, you won't be disappointed!